The Gresley Composite coach has taken a back seat while the paint hardens and the decals settle so today I returned to the Pickersgill 4-4-0 project. 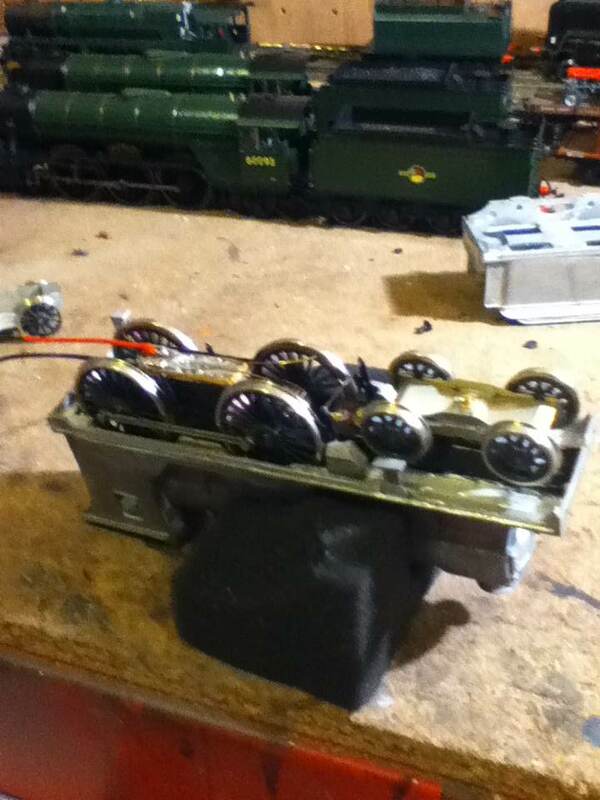 After a bit of head scratching about the best way to progress with the pick-up arrangements, last night I decided to rip out all the curcuit board/DCC stuff and rig the model for conventional wiring. 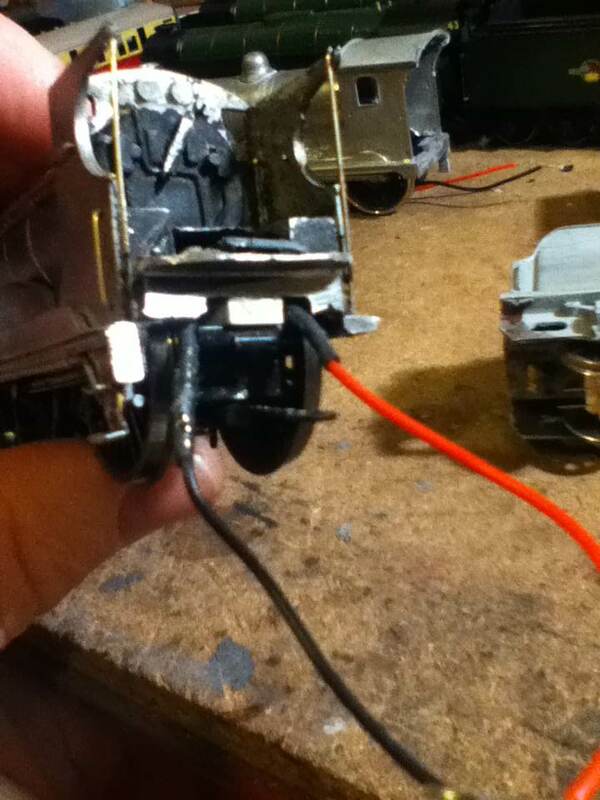 Hornby thoughtfully coded all the pick up wiring in standard red and black, so it was easy to determine what went where. I then combined all the loose positive wires, soldered them to a fresh piece of the appropriate colour then, protected the joint with heat-shrink tube. A basic pick-up rig was created for the tender with pick up on the aft four wheels and a pair of bus bars connecting these with the front of the tender. 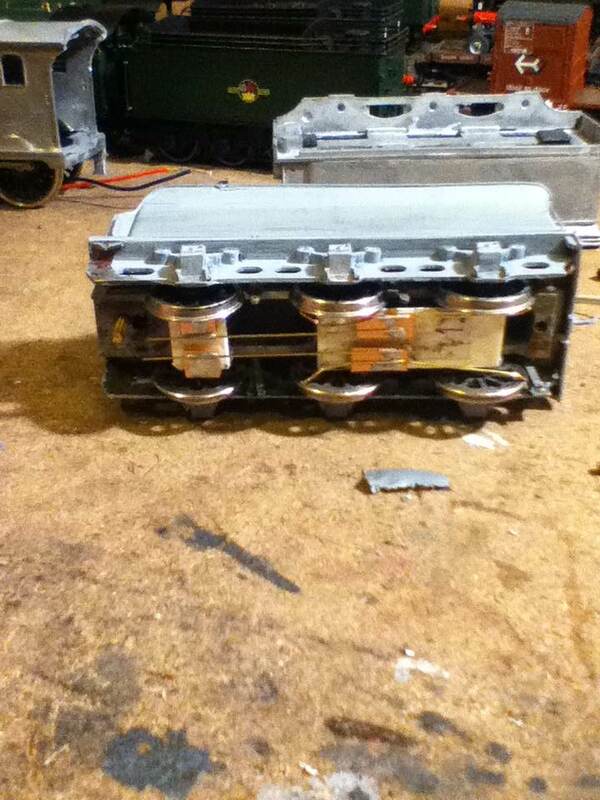 The connection has been tested then separated again after being found to function correctly. 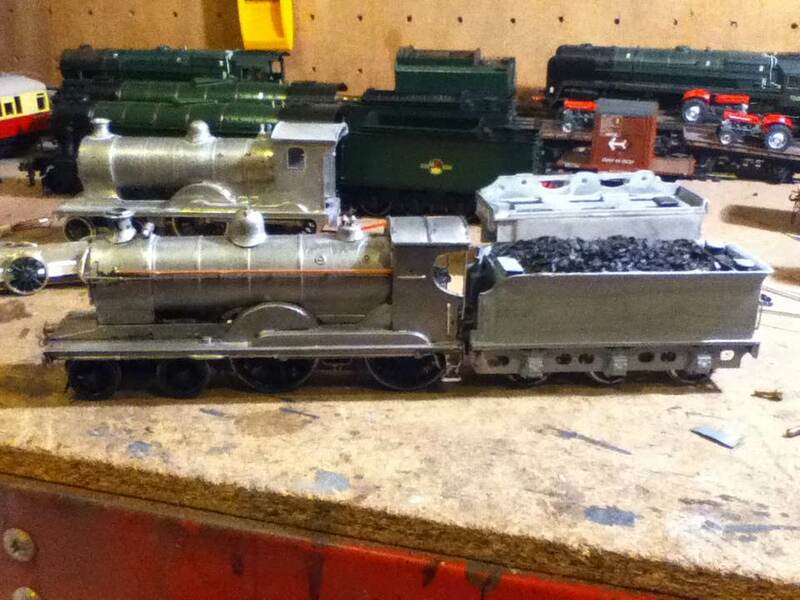 I will connect the loco and tender permanently when detailing and painting has been completed but this is now essentially a working loco. 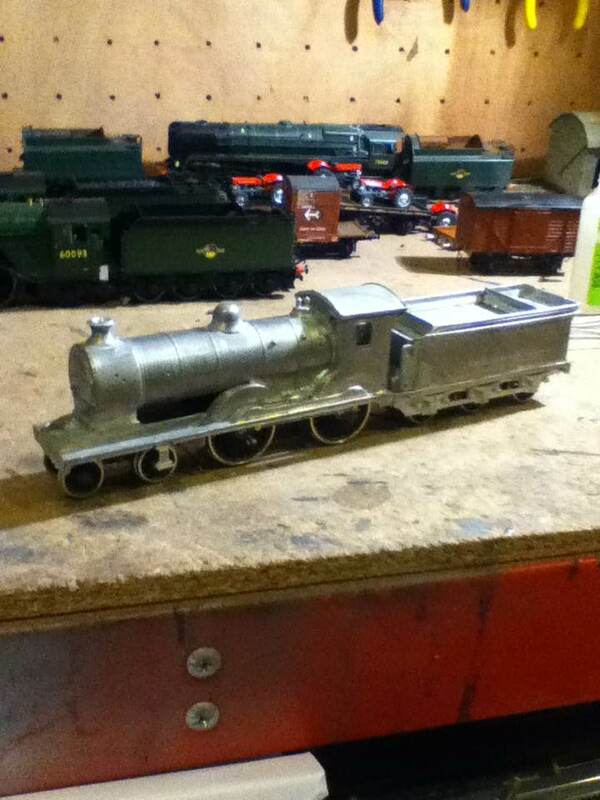 Encouraged by progress with the Pickersgill, I dug out the part-built ‘Scott’ 4-4-0 that’s been lurking on the bench for two years, seeing sporadic work. 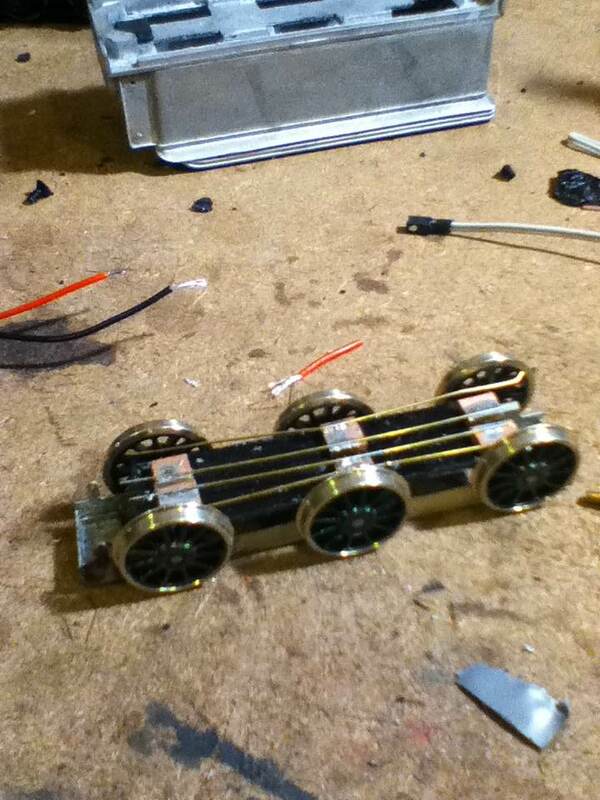 I then fitted it with a similar rig on the tender and noticed that the tender itself was sitting lower than it should. 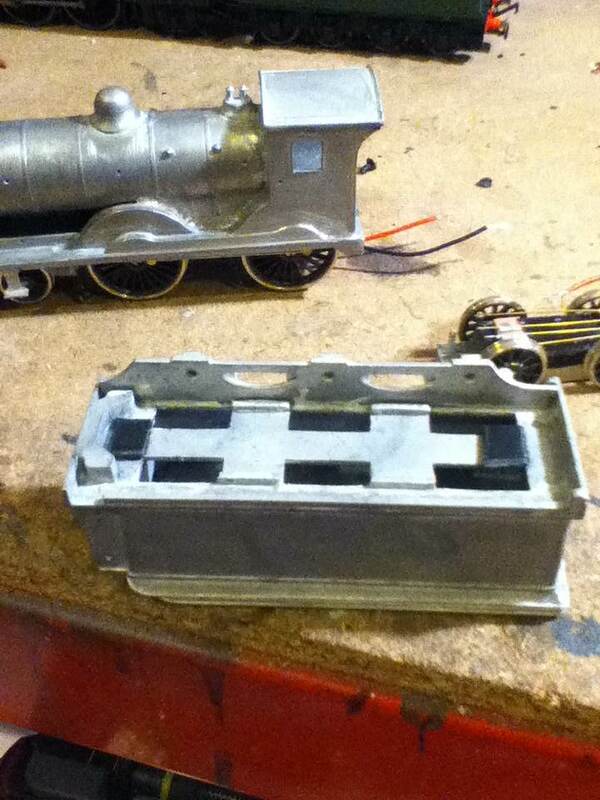 Some mounting pads have been fabricated from plasticard but suddenly, it seems that there will be two ‘Scottish’ 4-4-0s heading into the finishing shops shortly! I apologise for the poor photography tonight; I used the iPod to take these as opposed to the phone! I’m very much looking forward to seeing them finished and painted bud.